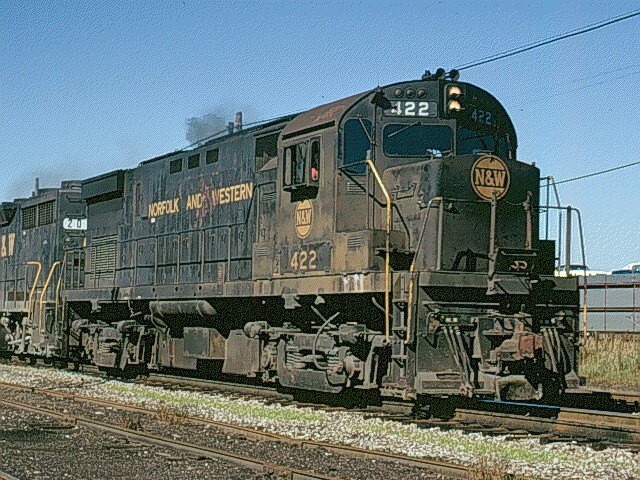 Alco C424 No. 3901 at Cleveland Ohio. This former Wabash unit was initially number B901 and could only be used as "B" unit. It was leased from Alco from an order that was going to Mexico. Wabash evenutally purchased these units. The remainder of the 3900-3906 series were renumbered in 1970/1 as 421-425 (3902 had been retired in 1965 and 3906 was retired in 1971). 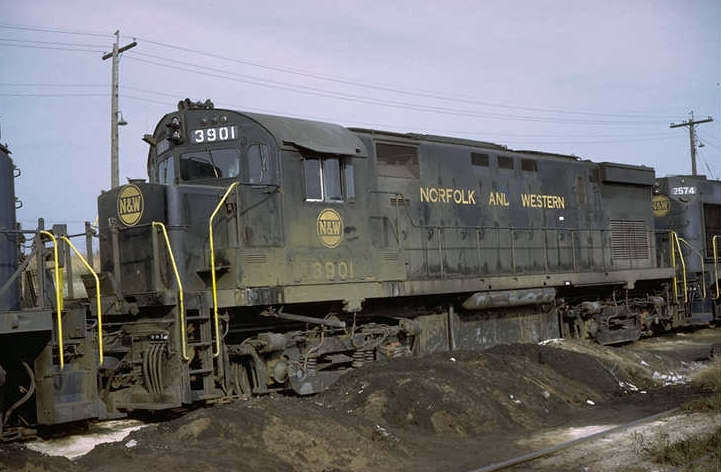 Here is 3901 after renumbering, now No. 422.